Alpine strawberry (Fragaria alpina), also known as wild strawberry or European strawberry, grows in the wild and has been consumed by humans for thousands of years. The fruits, stems, leaves, and roots of alpine strawberry are packed with medicinal and therapeutic properties as this strawberry is rich in vitamin C, B-family vitamins, potassium, tannins, vitamin A, flavonoids, proanthocyanidins, phenolic compounds, and other volatile acids and antioxidants. One of the benefits of eating alpine strawberries, which are high in fiber, is that they are naturally filling. More importantly, this fruit also contain a very low level of calories. Therefore, they can help you stay away from unhealthy snacking during each meal while still increasing your satiety. Without junk foods or unnecessary eating, you can effectively lose weight or maintain a stable fitness. Alpine strawberries are great sources of healthy fiber, which plays an essential role in reducing risks of stroke, improving heart condition, and regulating the sugar levels in your blood. Additionally, they help maintain a healthy bowel by adding more bulk to make your stool softer, thus, reducing constipation. These days, male infertility is a common issue for many couples due to poor performance or low production of sperm. Many studies have scientifically proven that there is a close connection between the function of sperm and the level of folate, a micronutrient that can be found in alpine strawberries. Folate deficiency results in defective sperm cells and reduces the chances of fertilization. By eating more alpine strawberries, infertile men can enhance sperm mobility. The leaves of alpine wild strawberries can be extracted into juice, which can be used to make your teeth whiter as well as tone the skin. With a combination of vitamin C, tannins, and natural oil, alpine strawberries can refresh complexion and avoid wrinkles. Crushed fruits have a striking effect on facial treatments, even when your skin is dull. Alpine strawberries contain a variety of nutrients and antioxidants such as quercetin, acid gallic, and flavanols. Those essential substances are very important because they help to eliminate free radicals in your body. Otherwise, accumulated radicals may cause much damage and lead to many health problems, especially cancer. Another benefit of eating alpine strawberries is that it can lower the levels of inflammation as well as oxidative stress, which is one of the most common causes of heart disease. Additionally, fiber and antioxidants play a key role in lowering the amount of lipoprotein cholesterol. This helps prevent the plaque from accumulating in the arteries and generating dangerous clots in the blood. Alpine strawberries contain a lot of flavanols, especially anthocyanins – which are great for your brain. By eating these fruits on a regular basis, you may protect yourself from an aging brain and other common problems such as neurodegenerative diseases, poor coordination, cognitive decline, and memory loss. Many studies also prove a connection between consumption of alpine strawberries and a decline in the oxidative damage in our brain. This means that they are able to keep the brain alert and young by stimulating neurotransmitters to be more efficient and speedier in implementing impulses. With a high content of folate, alpine strawberries can promote growth and aid in cell function. Therefore, if a pregnant woman takes this nutrient often, she can prevent possible defects in the spine and brain of her child. Without folate, a newborn baby might be at risks of having anencephaly, spina bifida, and other health issues. So if you are in pregnancy, alpine strawberries are a perfect choice to add to your daily diet. Manganese is a major nutrient that can be found in alpine wild strawberries. This element is very important for the growth of bones in the body, particularly for aging people, adults, and kids. Also, manganese is necessary for preventing osteoporosis and keeping mineral density. Therefore, the deficiency of manganese might result in weak bones in many post-menopausal females. Not only does manganese in alpine strawberries help with your bones, but this important nutrient is also very helpful in controlling the level of sugar in your blood. More specifically, it regulates the production and secretion of insulin, an essential element for blood glucose. Thanks to this effect, there will be fewer inconsistencies and spikes in the sugar level, thereby reducing the risks of diabetes. What’s more, fiber in alpine berries has been proven to help slow down the mechanism of absorbing sugar and breaking down carbs by the digestive system. As a result, the sugar levels remain stable. There is a close link between the immune system and the digestive system since all important nutrients for the body are often absorbed during the digestion process. 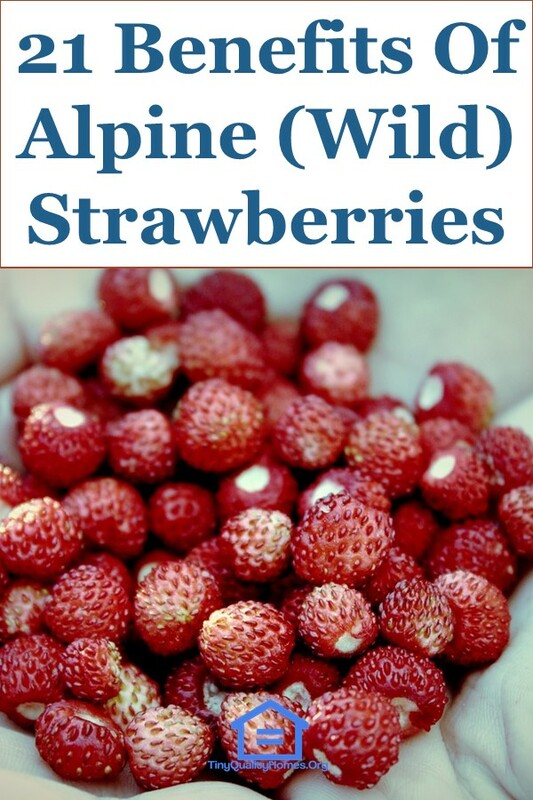 Alpine (wild) strawberries contain a variety of nutrients that can help with digestion. For example, manganese alleviates bowel discomfort and constipation, as well as enhances the intake of fat. Folate helps prevent colorectal cancer, while fiber creates a favorable environment for healthy bacteria to grow, which speeds up the digestive process. Epilepsy is basically a chronic illness that is featured by recurring epileptic seizures and can have a negative impact on the brain. This disorder can happen at any stage of our life, even though it is most common in aging people and kids. Studies have proven that deficiency of manganese in your daily diet might be the major cause of this serious problem. By adding alpine wild strawberries to your meal, the risks of developing epileptic seizures will be significantly reduced. Vitamins are definitely one of the most important nutrients for our body since they have various roles in maintaining proper health and fitness. 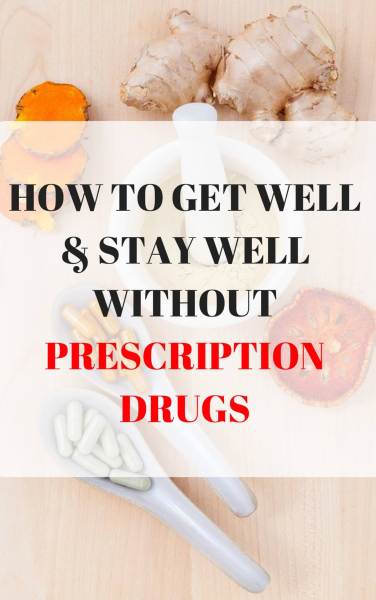 Not taking sufficient vitamins might result in serious disorders and illnesses. Alpine wild strawberries contain a wide variety of vitamins needed for your body, including vitamin B6, vitamin B9 (folate), vitamin C, vitamin E, and vitamin K. Additionally, manganese in these fruits can help your body absorb other kinds of vitamin effectively from other sources of food through enzymatic reactions. For this reason, it is advisable to have alpine strawberries in your diet to satisfy your body’s nutritional requirements. There are 2 components in alpine strawberries that can help improve the metabolic rate of your body: potassium and manganese. First, potassium works as a catalyst in the metabolism of some essential nutrients, such as carbohydrates and fats. In addition, it aids in the synthesis of protein to regenerate tissues as well as grow more cells. Similarly, manganese plays a key role in ensuring that the levels of energy in your body are stable and all organs are working properly. What’s more, by preventing extra glucose from accumulating in the body, it also reduces the risks of developing hyperglycemia. ln addition to its role in metabolism, potassium in alpine strawberries is also important for your muscles to relax and contract correctly. In fact, muscle cells are comprised of numerous potassium ions. Thus, it is recommended to take a sufficient amount of this nutrient to ensure that you do not suffer from muscle disorders. Eating alpine strawberries also enhances the pathway connection between the spinal cord or brain and muscles. This can result in faster reflexes in many situations. This can make many people surprised, but eating alpine wild strawberries is a good way to relieve stress and anxiety. By regulating several hormones, including adrenaline and cortisol, potassium in this fruit can make you feel better after restless and tense time at work or school. In addition, a high level of folate also helps in alleviating perinatal depression. The thyroid gland is an important endocrinal organ in your body. Basically, it works by absorbing iodine from digestive foods and making use of this element to release, store, and produce thyroid hormones, which are closely related to your fitness. Thyroid hormones have an effect on nearly all tissues and help control other functions in the body, including muscular strength, menstrual period, body weight, levels of cholesterol, body temperature, heart rate, and breathing. As manganese is the main component in thyroid hormones, having alpine strawberries is a good way to keep your body healthy and fit. In general, the body removes extra fluid from your blood, via the kidney, through a process called osmosis. The kidney uses a delicate balance of potassium and sodium to pull the extra water across a wall of cells from the bloodstream. Thus, taking in a sufficient amount of potassium in your diet is necessary for keeping the level of sodium in check. Thus, helping the kidney operate properly. Make sure to get enough potassium from alpine strawberries as you could also increase your risks of heart attacks, strokes, vessel ruptures, and kidney damage. As said earlier, alpine wild strawberries contain a lot of potassium, which works as electrolytes to ensure that your body might keep a balanced amount of fluids. In addition, these components play a key role in carrying electrical charges to your nervous system. This means that having alpine strawberries on a daily basis can help improve the nervous reflexes as well as guarantee the concentration of sugars, salts, and other nutrients in the cells. Folates, in alpine strawberries, have been proven to reduce the risks of macular degeneration, a disorder that often happens in the elderly and can damage the central vision. In some cases, this problem can deteriorate the retina and lead to blindness. Therefore, adding alpine wild strawberries to your daily diet is a good way to make sure the sharpness of your vision. The colon is an important organ in our body that helps absorb vitamins, electrolytes, and water. With a high level of folate, alpine strawberries can play a significant role in cleansing the colon and reducing the risks of colorectal cancer.